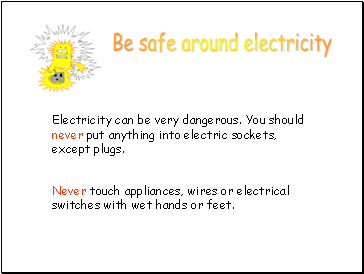 Electricity can be very dangerous. You should never put anything into electric sockets, except plugs. 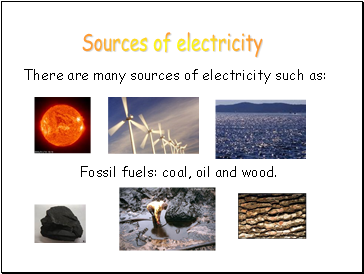 Fossil fuels: coal, oil and wood. Electricity is a kind of energy. It is made in power stations. 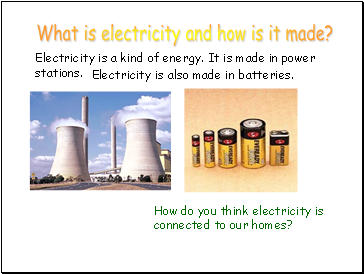 How do you think electricity is connected to our homes? Electricity is also made in batteries. 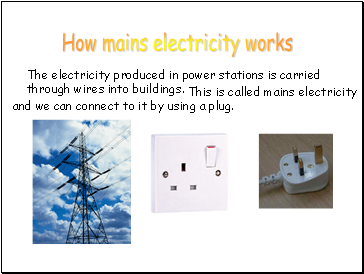 The electricity produced in power stations is carried through wires into buildings. and we can connect to it by using a plug. Inside a battery are two different chemicals. 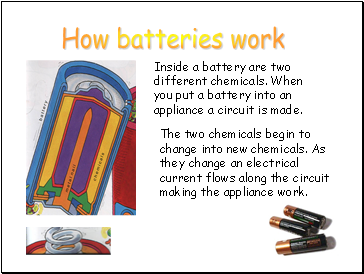 When you put a battery into an appliance a circuit is made. The two chemicals begin to change into new chemicals. As they change an electrical current flows along the circuit making the appliance work. In the modern world we rely on electricity for nearly everything. What type of electricity do these appliances use? 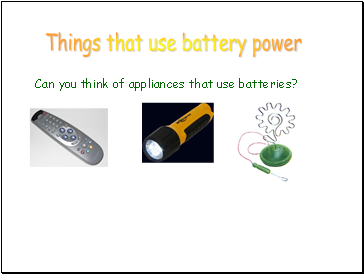 Can you think of appliances that use batteries? 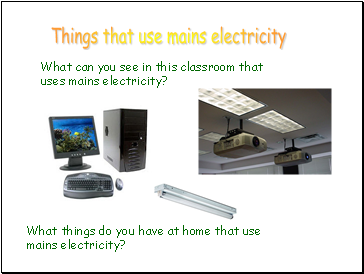 What can you see in this classroom that uses mains electricity? 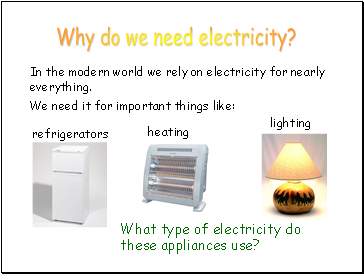 What things do you have at home that use mains electricity? Cut out and sort the pictures under the correct columns. 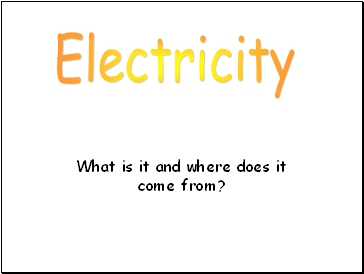 Label the effects of the electricity. 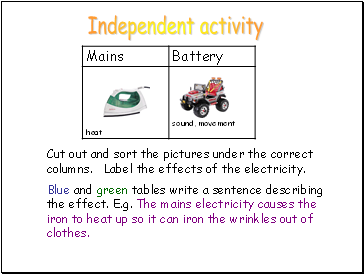 Blue and green tables write a sentence describing the effect. E.g. The mains electricity causes the iron to heat up so it can iron the wrinkles out of clothes.